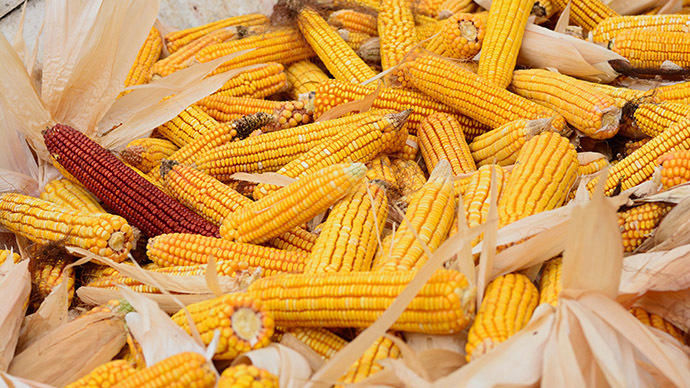 The Russian Lower House has passed the first reading of a bill that introduces fines for businesses which sell products containing genetically modified organisms (GMO) without warning customers on the packaging. The bill was passed in the first reading on Wednesday and contains a set of amendments to the Administrative Code introducing responsibility for lack of proper labeling on alimentary products containing genetically modified material or made with the use of genetically modified organisms. Once the bill is signed into law, producers who fail to label correctly or provide incorrect information will be fined between 20,000 and 150,000 rubles ($444 - $3,333). Regulators can also confiscate improperly marked stock. The bill also gives the state consumer rights agency Rospotrebnadzor the responsibility to monitor the situation and punish the violators. 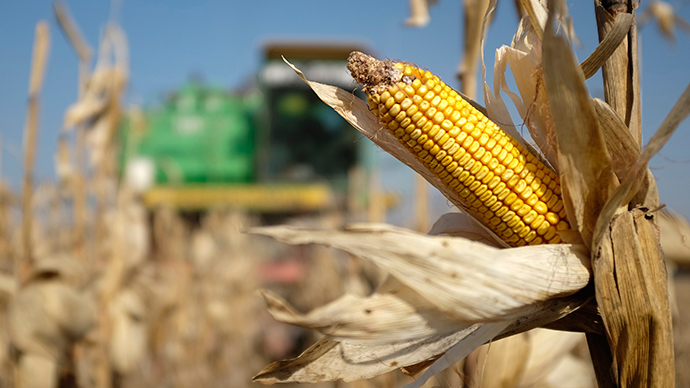 The current Russian law has been in force since 2007, and requires a clearly visible indication on all goods that contain 0.9 percent of genetically-modified organisms by weight, but says nothing about the punishment for those who fail to observe the rules. 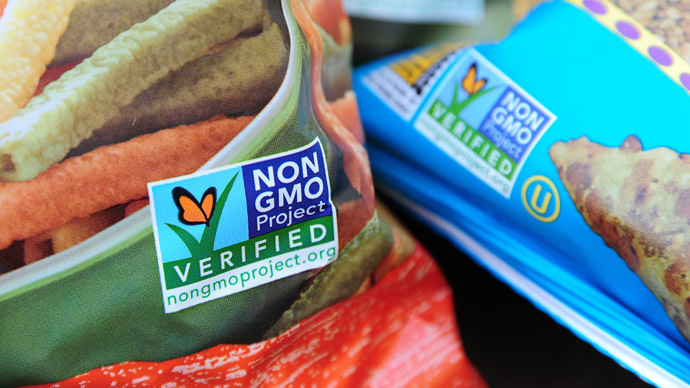 There are no limitations on the turnover or production of GMO-containing foodstuffs. 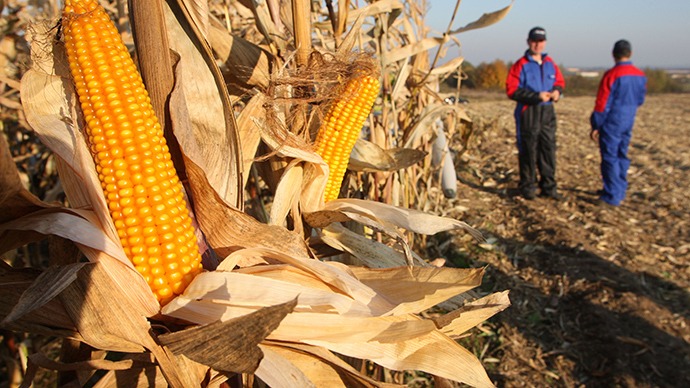 According to official statistics the share of GMO in the Russian food industry has declined from 12 percent to just 0.01 percent over the past 10 years, and currently there are just 57 registered food products containing GMO in the country. 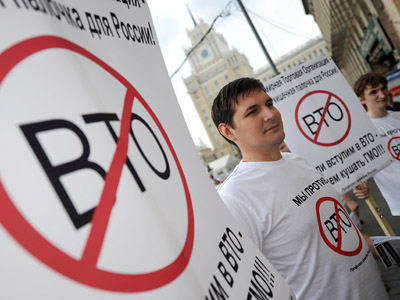 In comments on the bill the deputy head of the Lower House Agrarian Committee MP Nadezhda Shkolkina (United Russia) said a total ban on genetically modified products in Russia was impossible, because it would contradict the rules of the World Trade Organization. In February this year, Prime Minister Dmitry Medvedev held a government session dedicated to the problem in which he said that Russia will create its own research base for genetically modified organisms that would provide the authorities with expert information and allow for further legislative movements and executive decisions. Medvedev also warned against perceiving GMO products as “absolute evil,” but said that the government did not support their use in the food industry.